Shaking It Up a Bit…..
Don’t you just love to surprise someone by shaking it up a bit? Still cookin’ and bakin’ my dear readers….Still lovin’ the cooler temps and falling Oleander leaves! Oh and the Plumaria leaves too. Boy, does this tree get ugly in the winter! It is sooo beautiful in the spring, summer and fall with it’s tropical waxy Hawaiian Lei type flowers… but all the leaves fall off and the tree is left with just a bunch of stumpy looking branches. But that is for another time and post. Today, we are talking about gingerbread! 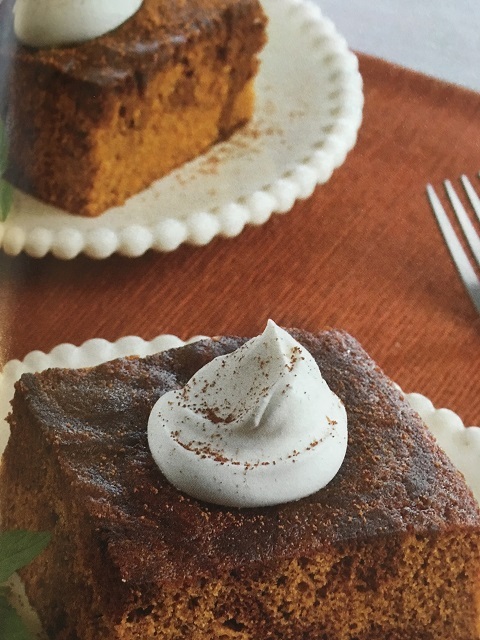 Perhaps you associate gingerbread more with Christmas, but I like it anytime of the year and I like it in the Autumn! I also like mixing it up or shaking it up …..yep, that is a good thing I believe. This gingerbread is more like a marble cake in that it has a marbling effect. I used cocoa powder because everyone loves chocolate and at first you might think that cocoa and gingerbread are not a good combination…..but trust me, it is yummy! 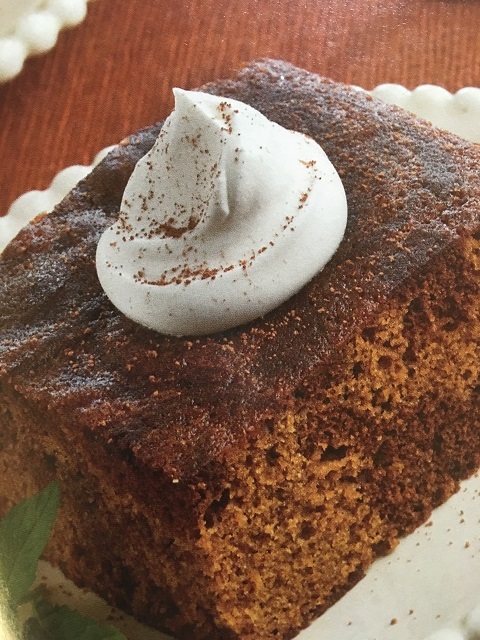 Top your gingerbread with a dollop of whipped cream and sprinkle on a bit of nutmeg and Wha-Lah! …a wonderful dessert. As I have said many times before…. I love to curl up beside a cozy fire and read a good book and nibble on a wonderful dessert! True, I have the fireplace and the book and the dessert….Florida just does not provide the freezing weather! But this gingerbread with a swirl is a perfect way to start. I love gingerbread and this gingerbread is special because it is swirled with chocolate. Sprinkle with nutmeg for a pretty effect.